Chair the Patrol Leaders' Council (PLC) meeting once a month. Has good attendance at Troop meeting. The Assistant Senior Patrol Leader is the second highest-ranking junior leader in the Troop. 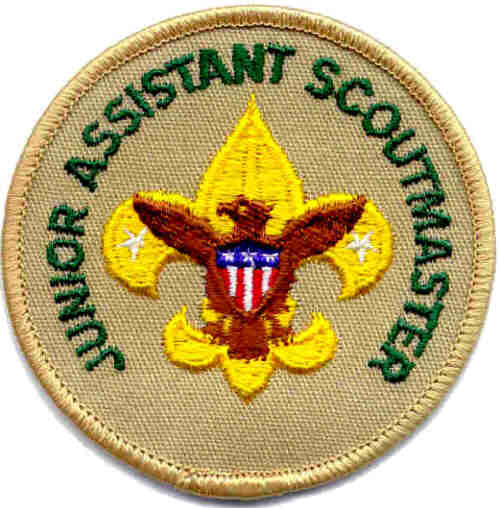 He is appointed by the Senior Patrol Leader with the approval of the Scoutmaster. The Assistant Senior Patrol Leader acts as the Senior Patrol Leader in the absence of the Senior Patrol Leader or when called upon. He also provides leadership to other junior leaders in the Troop. Have good attendance at Troop meeting. The Troop Scribe keeps the troop records. He records the activities of the Patrol Leaders' Council (PLC) and keeps a record of dues, advancement, and Scout attendance at troop meetings. Attend and keep a log of Patrol Leaders' Council (PLC) Meetings and distributes copies to PLC Members and Adult Leaders. Have good attendance at Troop meetings. Advise patrol leader on his duties and responsibilities at Patrol Leaders' Council (PLC) meetings. Job Description: The Instructor teaches scouting skills. Job Description: The Bugler plays the bugle at troop ceremonies. Job Description: The Librarian takes care of troop literature. - Keep records on literature owned by the troop. - Add new or replacement items as needed. - Keep books and pamphlets available for borrowing at troop meetings. - Keep a system for checking books and pamphlets in and out. - Follow up on late returns. Job Description: The Historian keeps a historical record or scrapbook of troop activities. Job Description: An Order of the Arrow Troop Representative is a youth liaison serving between the local OA lodge or chapter and his troop. In his troop, he serves as a communication and programmatic link to the Arrowman and adult leaders and Scouts who are not presently members of the Order. He does this in a fashion that strengthens the mission of the lodge and purpose of the Order. By setting a good example, he enhances the image of the Order as a service arm to his troop. Term: As required for a specific event or term up to 2 years. Represent the patrol at all Patrol Leaders' Council (PLC) meetings and at the annual program planning conference. - planning and leading patrol meetings and activities. - keeping patrol members informed. - preparing your patrol to take part in all troop activities. Represent the patrol at Patrol Leaders' Council (PLC) meetings in the absence of the Patrol Leader.